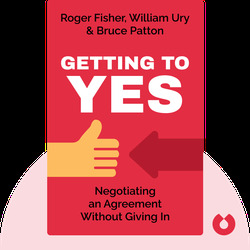 Getting to Yes (1981) is considered the reference for successful negotiations. It presents proven tools and techniques that can help you to resolve any conflict and find win-win solutions. Anyone interested in improving their negotiation skills, whether for use at work, at home, or both. Roger Fisher (1922–2012) was an American professor at Harvard Law School. With his co-authors, he founded the Harvard Negotiation Project. William Ury is an anthropologist who works as a peace negotiator for corporations and governments worldwide. 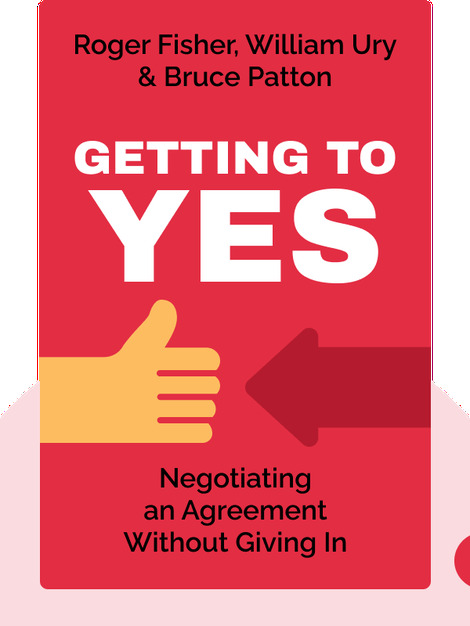 Bruce Patton is a Harvard lecturer and co-founder of Vantage Partners, an international consultancy firm that helps companies improve their negotiations.